The number of Polish people buried outside Poland is huge, and many are famous. If you’re ever near one of the spots listed below, you can always pay a visit – and if you decide to do it on 1st November, there’s no doubt you’ll find a lighted candle or two left by local Poles. All Saints' Day is a very important day in Poland and can be considered more as a national tradition rather than a religious one. Poles travel across Poland and sometimes even overseas to light a candle under the gravestones of long-gone relatives. Although the custom of visiting the graves of family members is an old tradition in many places (Poland’s goes back to Slavic mythology), Poland has made All Saints' Day a public holiday so that people have the time to do it properly. Cemeteries often end up filled with what look like seas of candles, an incredible sight once the sun sets. Perhaps you’ll get a hint of that when you visit some of the notable deceased Poles mentioned below. Located next to the metro station Philipe August, Père-Lachaise is the biggest cemetery located in Paris. Within this necropolis are resting, among others, participants of the 19th-century Polish uprisings, the famous Polish pianist Fryderyk Chopin, independence activist and January uprising participant Jarosław Dąbrowski, astrophysicist Adam Prażmowski, as well as the heart of Maria Walewska, one of Napoleon Bonaparte’s lovers. One of the most visited graves in the entire cemetery is that of Fryderyk Chopin. The grave includes a marble statue of Euterpe, the muse of music, as well as a portrait of the composer on the front of the monument. The reason of his premature death at the age of 39 remains unknown. Investigators made attempts to extract a small amount of tissue from his heart, which had been taken to Poland in 1945, but to no avail. The creator of his impressive grave is August Clesinger, a man who had a personal link with him: he was the husband of Solange Dudevant, the daughter of George Sand, Chopin’s partner. 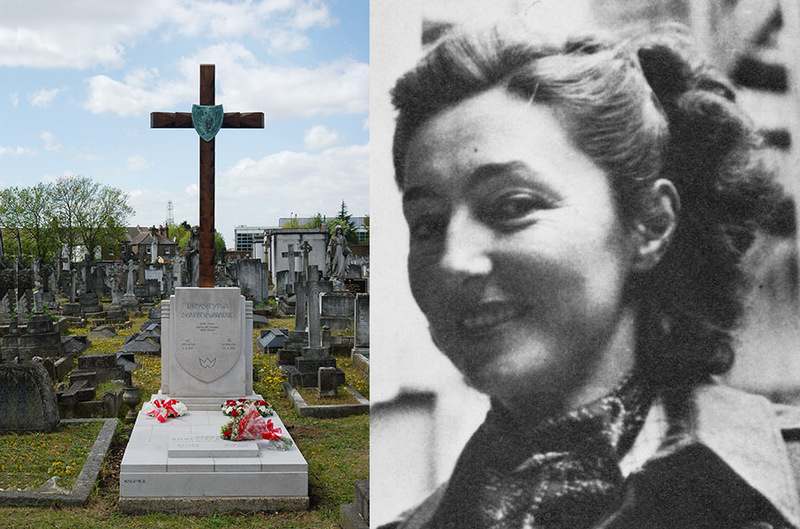 Also in Père-Lachaise is the resting place of 19th-century writer and translator Klementyna Hoffmanowa. She is considered one of the first female writers of literature for children and young people. Like Chopin, her heart was also transferred to Poland, this time to Wawel Cathedral in Krakow. Of course, these aren’t the only big Polish personalities buried in France: Maria Skłodowska Curie, Adam Mickiewicz and Aleksander Wat are just some of the other big hitters. After his death in Istanbul, Adam Mickiewicz’s body was taken to France and he was buried temporarily in Les Champeaux Cemetery in Montmorency. His grave is now empty after his remains were transferred to Wawel in 1890 in a patriotic protest against Poland’s occupation. The author of My Century, Aleksander Wat, also has the Montmorency cemetery as his resting place, after he committed suicide in nearby Antony. There are some other important poles like the painter Olga Boznanska, the sculptor Cyprian Godebski, or Władysław Oleszczyński and Władysław Zamoyski. 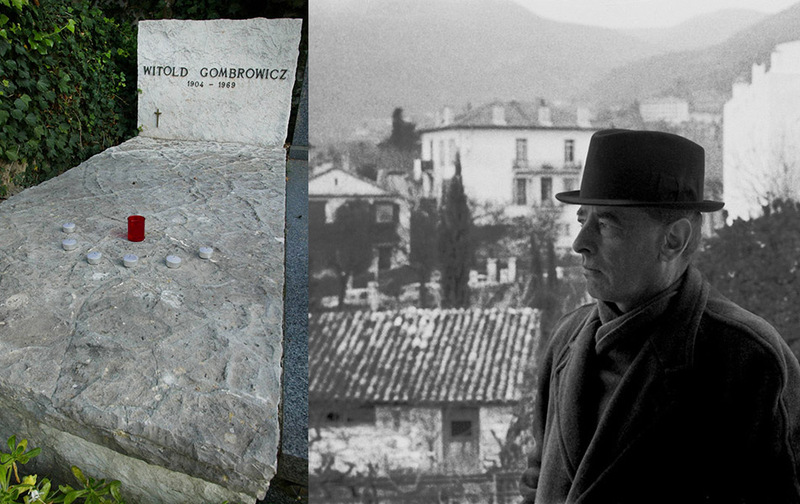 Still in France, we can find the graves of some other big literature writers: Juliusz Słowacki in Montmartre and Witold Gombrowicz in Vence. The remains of Słowacki were moved to Wawel in 1927. The epic poet Cyprian Norwid was also buried in Ivry but was then moved to Mortmorency after five years. 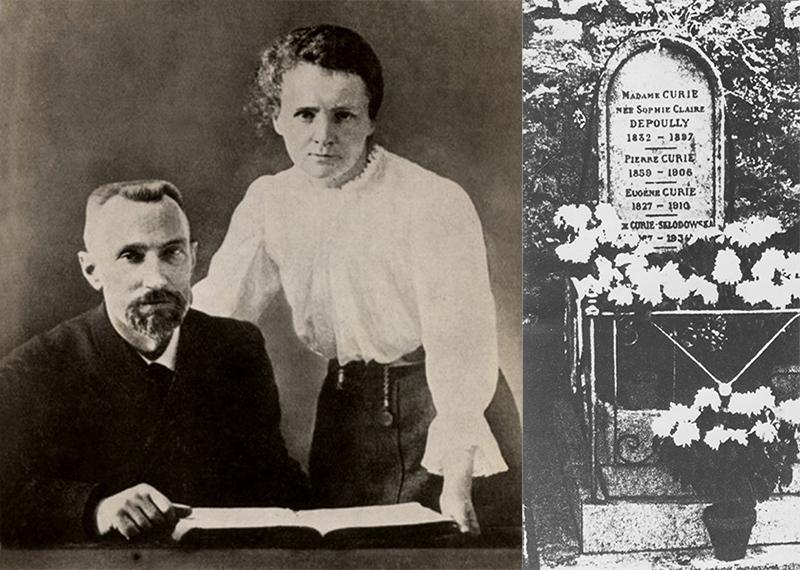 The scientist, Maria Skłodowska-Curie, was interred in Sceaux. In 1995, however, and in honour of her big achievements in science, her ashes were transferred to the famous Panthéon in Paris. At the time, she was the first woman to be honoured in this way, alongside such figures as Jean-Jacques Rousseau, Voltaire and the writer Émile Zola. In France, there is also a specifically Polish cemetery called Urville Langannerie. This cemetery hosts 615 Polish officers and soldiers who fought in the Second World War. And of course, another important Pole that has to be mentioned is Karol Wojtyła, otherwise known as Pope John Paul II. 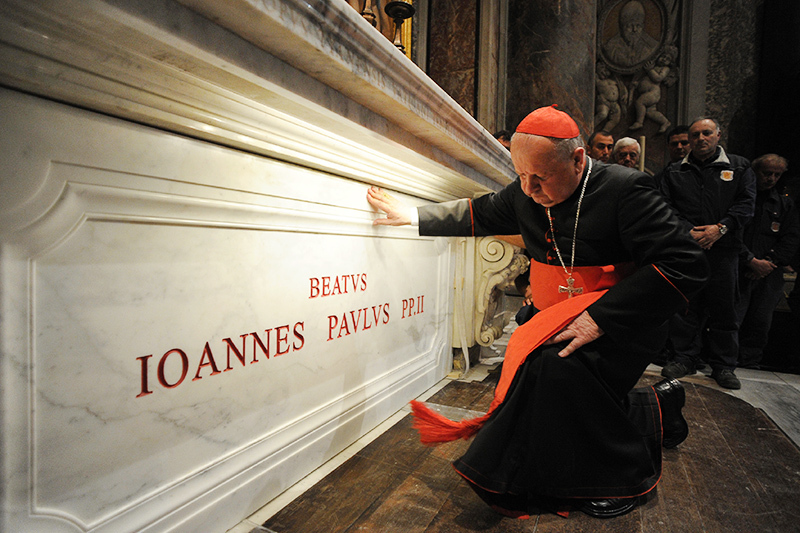 He was interred in the grottoes under Saint Peter’s Basilica in the Vatican. There are also four military cemeteries in Italy. The biggest is in San Lazzaron in Bolonia, while probably the most well-known is in Montecassino. In Newark Cemetery in England's Nottinghamshire, we can find the biggest necropolis of polish pilots. In the same place are resting Władysław Raczkiewicz, August Zaleski and Stanisław Ostrowski – all of them were presidents of Poland in exile. Władysław Sikorski also used to lay among them but was transferred to Wawel in 1993. Built in northwest London in 1832, Kensal Green is the first cemetery of the city’s so-called ‘magnificent seven’. These cemeteries aimed to alleviate the massive overcrowding of small churchyards at the beginning of the 19th century. Kensal Green now hosts the graves of members of the British Royal Family, English Nobel Prize winner Harold Pinter, as well as the geologist Paweł Edmund Strzelecki, artist Marek Żuławski, and Britain’s finest secret agent Krystyna Skarbek. Paweł Edmund Strzelecki is known for having climbed the tallest mountain in Australia before naming it after his hero Tadeusz Kościuszko, namely Mount Kosciuszko in New South Wales. Meanwhile, Krystyna Skarbek travelled with her husband to the UK during the outbreak of WWII, and became one of the most important assets in the British intelligence services, inspiring all sorts of literary and film characters later on. In Mount Olivet Cemetery in Washington D.C., rests Jan Karski, real name Jan Romuald Kozielewski. Karski took part in the resistant movement during WWII, famously being the first to report the atrocities of the German Nazi concentration camps to the Western Allies. Karski later became a professor at Georgetown University, where he taught Eastern European studies to such alumni as Bill Clinton. In Pennsylvania’s Doylestown, known as the American Częstochowa, is a bronze sculpture in which is encased the heart of pianist and politician Ignacy Jan Paderewski. The rest of his remains are back in Poland. Down in Mexico, a big Polish personality from the country’s history was Karol Beneski. He was an army officer who worked closely with Agustin de Iturbide, the first emperor of Mexico after it gained independence from Spain in the 1820s. Beneski became a politician in Mexico and left a book of memoirs about life working for the Mexican emperor. He was buried in the Catedral de Santiago in Saltillo. Another fantastic story from Mexico comes from the last wishes of art-deco painter Tamara Łempicka. 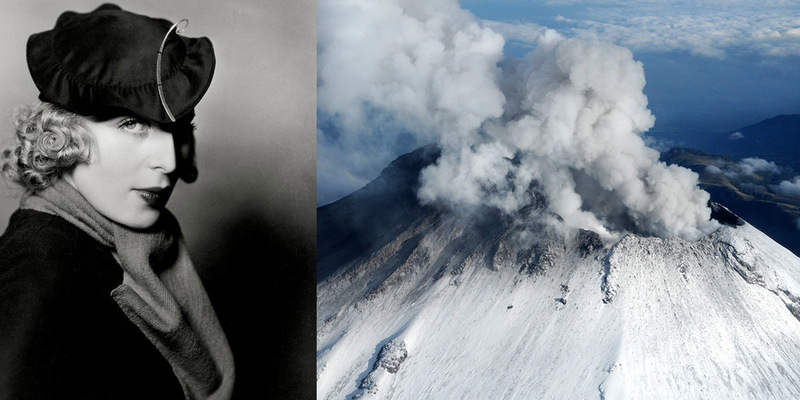 Her daughter Kizzette did as asked: she hired a helicopter and scattered her mother’s ashes over the Popocatépetl volcano in 1980. Probably the biggest Polish cemetery outside Poland is in Lviv. Lychakiv Cemetery, originally Łyczakowski Cemetery, is the final resting place of thousands of Poles, including two significant female figures: the author of The Morality of Mrs. Duska Gabriela Zapolska, and writer and women’s rights activist Maria Konopnicka. In the Lithuanian capital of Vilnius, Rasos Cemetery hosts more than 200 Polish soldiers. Among them are writers and historians, like Joachim Lelewel, who along with Marx and Engels founded the Democratic Society for Unity and Brotherhood of all peoples. In the same cemetery lies the body of Juliusz Słowacki’s father, Euzebiusz. Most importantly, Rasos is where the mother of Marshal Józef Piłsudski can be found, along with the heart of her famous son. There are twelve Allied cemeteries in Egypt and Sudan, in which over 400 graves belong to Polish WWII soldiers. In Israel, on the other hand, we can find many graves from the renowned Anders Army. In Tokyo every year, Poles living in or visiting Japan visit the grave of Zenon Żebrowski’s brother, who travelled with later beatified Maximilian Kolbe during a Franciscan mission. We’ve tried to give you just a glimpse of how Poles have left their traces all over the globe. It means that hopefully no matter where you are on All Saints' Day, you’ll be able to light a candle too. Author: Alexis Angulo, 26 Oct 2016. Sources: PAP; The Polish Heritage Society; Polish Radio; Civil Association: Americana y Distinguida Orden de Nuestra Señora de Guadalupe; National Geographic; and Lempicka by Patrick Bade, Parkstone International 2012.